I’ve lived in a lot of places, man. It’s like that Motel 6 commercial with Johnny Cash’s song, “I’ve been everywhere, man” … I’ve lived in Idaho, Washington, Idaho, Texas, Oregon, Texas, Washington and lots of places in between. I haven’t, however, lived anywhere that has as much wildlife as where I live now (Actually, I’m sure I did when I was between 0-8, but that doesn’t count because I don’t remember). We’ve had deer, coyotes, raccoons, rabbits, squirrels, frogs and birds. It’s been pretty intense. We bought this house in January and it is next to a bit of a forest, so we figured we’d get some creatures, but it’s been a pleasant surprise. All we’re missing is a bear sighting. Anyway, we wanted to share some of our photos of these creatures with you. With the drought, it appears more animals have been moving into our neighborhood in search of water. Not much to be had in our sprinkler, however. 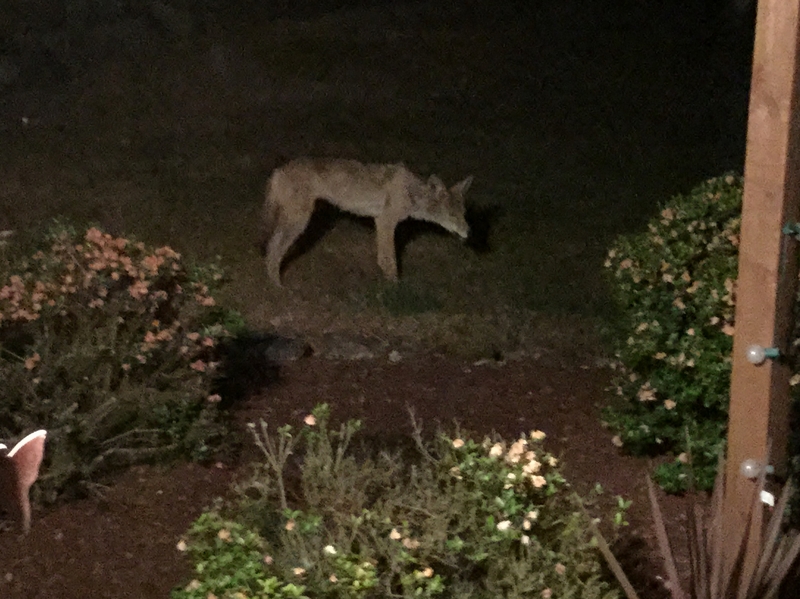 The coyote was eating some bread I had thrown out there for our rabbit. Guess I need to stop throwing bread into the yard. 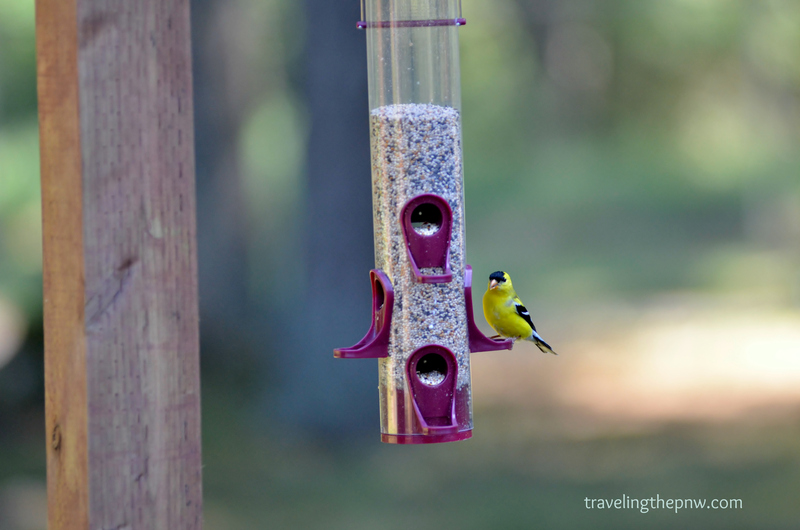 The American Goldfinch is the state bird of Washington. It is a brilliant yellow with distinctive black markings. 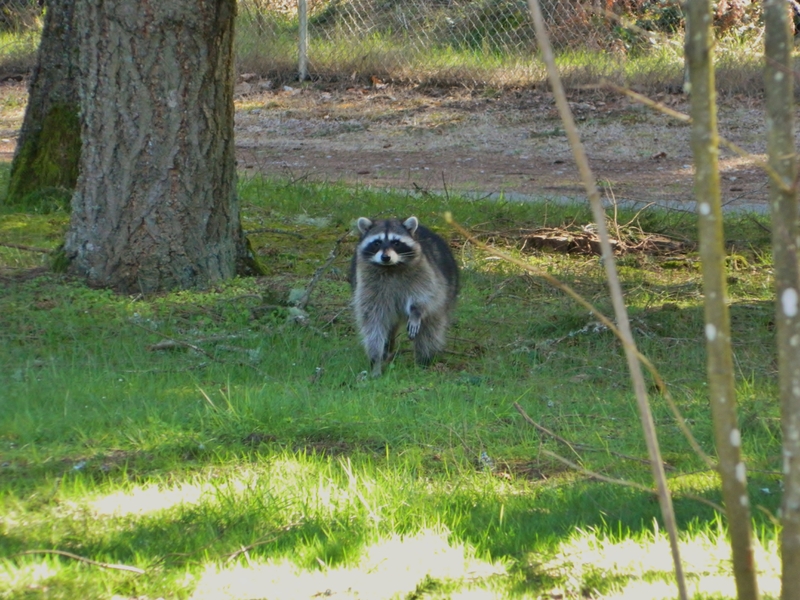 There are two raccoons that live in our neighborhood. 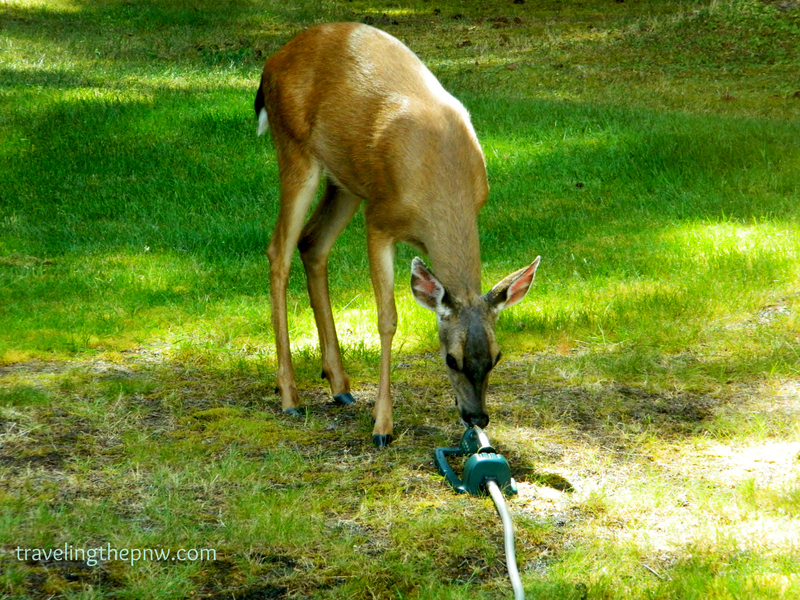 I wasn’t too fired up to see this one during the day, but it seemed pretty harmless. 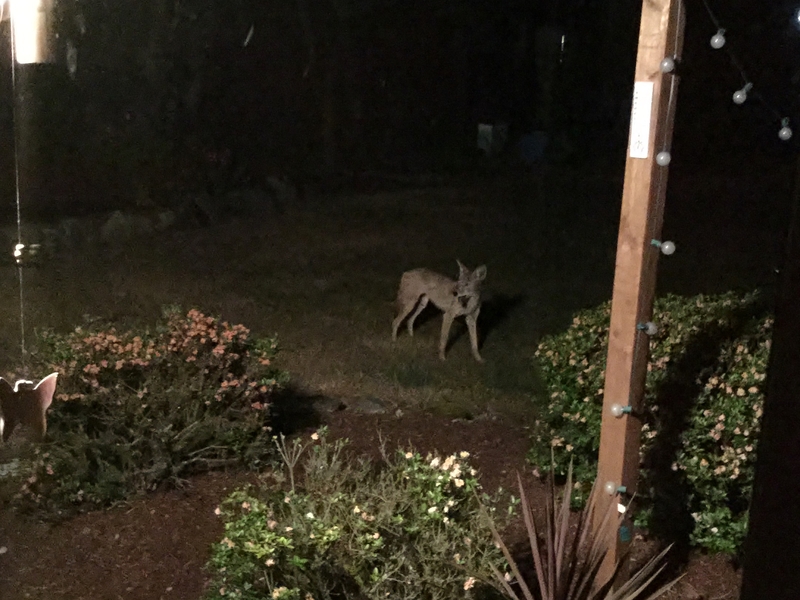 Normally they are walking around our yard at night. 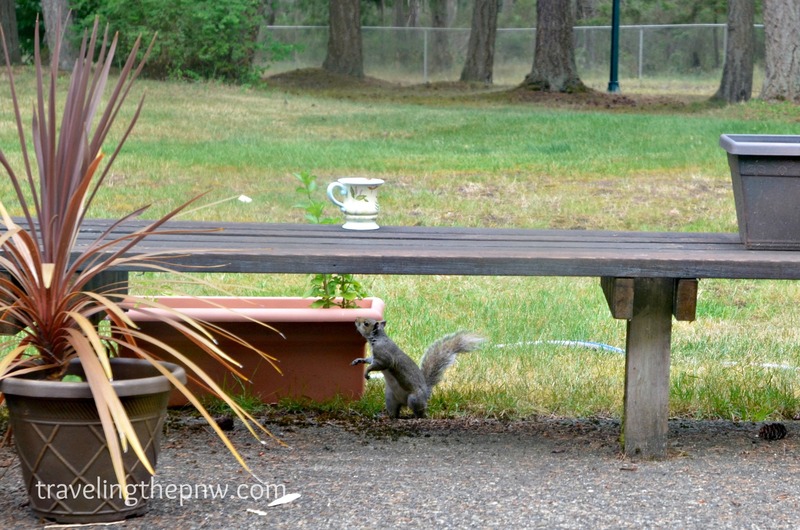 This is just one of the squirrels who visits our yard. One is as fat as a cat! Molly has already chased one up a tree, fortunately she has yet to catch one. A Steller Jay paid a visit to University Place today. Love the blue spot on its forehead. 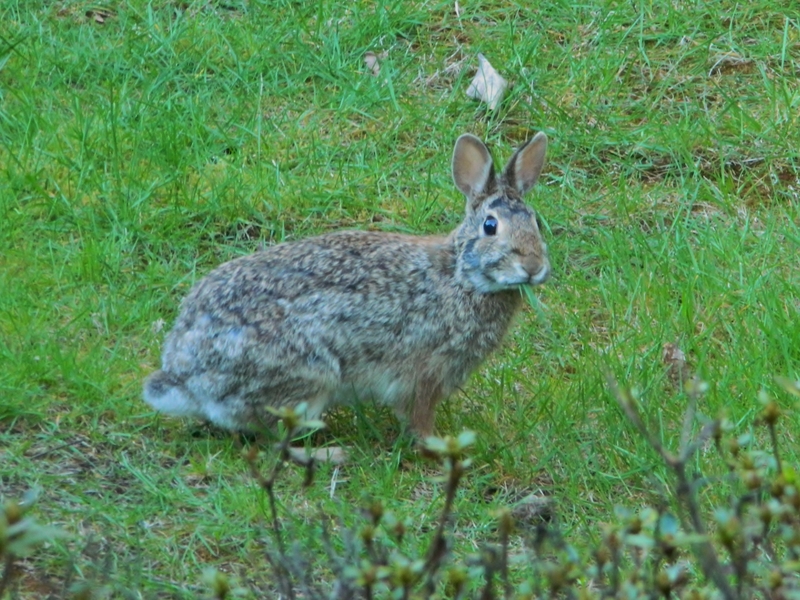 This rabbit eats a lot of grass in our front and backyards. So far, it hasn’t eaten anything in my garden that I can tell, but I’m sure it will eventually. A little coyote action late one night. I was sitting at my table on our computer when I saw movement out of the corner of my eye. Freaked me out a bit. 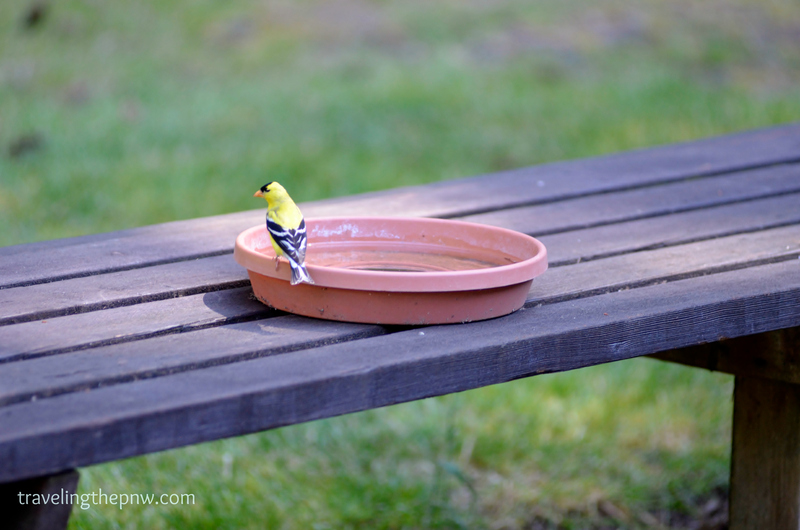 To help the birds in our yard combat the hot weather, we put out these DIY bird baths. They all seem to like them. I love the color on this American Goldfinch. 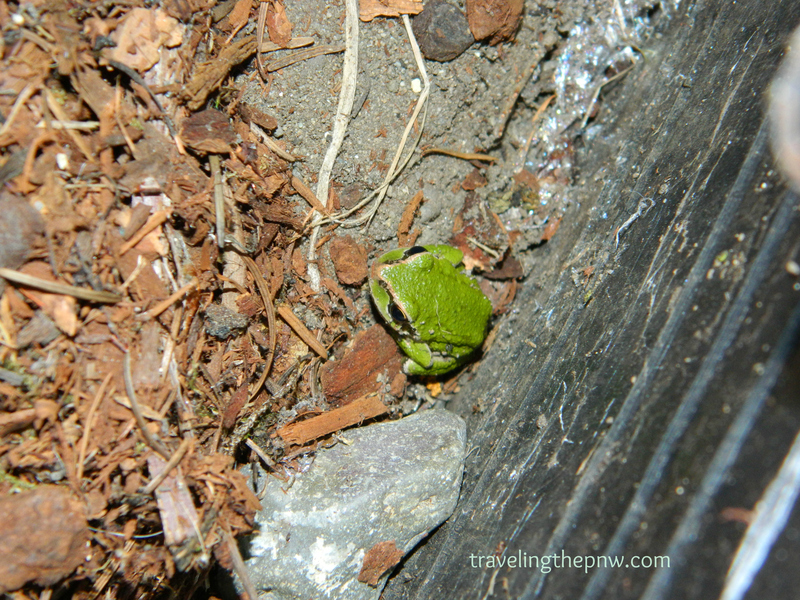 This Pacific tree frog showed up recently in our garden box. He spent most of his time in our sprinkler shutoff valve area.